Taken from "Sing": "Worked from the bottom up, decreases at the yoke are worked within the feather and fan stitch." 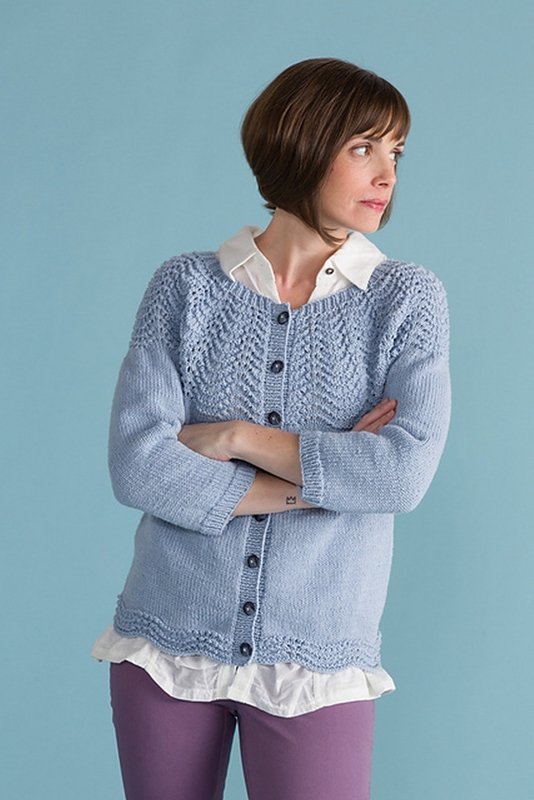 This pattern is from "Sing" by Classic Elite Yarns. Size US 5-32" and 5 DP needles (or size needed to obtain gauge) are required but not included. Other Materials: Eight .75" buttons, Stitch holders or waste yarn, and Stitch markers. 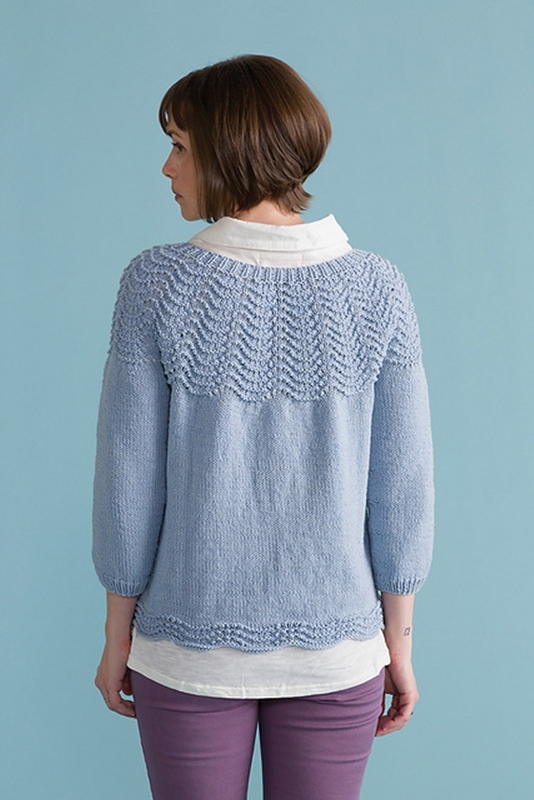 Finished Bust Measurements: Bust (buttoned with 1" front band overlap): 35.25 (38.5, 41.5, 44.5, 47.75, 50.75, 54)" after blocking. Gauge: 22 sts and 28 rows/rnds = 4" in St st.
Color shown is 2557 Sky.